It is situated at Warangal district. Its area is 879 sq. km. Dry deciduous Teak forest with Bamboo, Madhuca, Terminalia, Pterocarpus etc. are found here. Animals found are Tiger, Panther, Gaur, Sambar, Nilgai, Cheetal, Wild boar, Sloth bear, Wild dog, Hyena, Jackal, Fox and migratory birds like Ducks, Teals, Ibises, Storks and Cormorants. Accommodation is available at the Forest and Tourist rest houses at Pakhal. Best season to visit November to June. Rail: 60 km from Warangal / Kazipet railway station. Road: 230 km from Hyderabad by road. 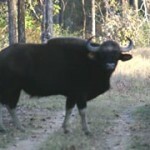 This entry was posted in Andhra Pradesh, Pakhal Wildlife Sanctuary. Bookmark the permalink.